Here at Art Dentistry in London, our goal is that every patient receives the very best in modern dentistry. 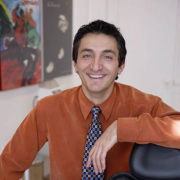 Farydon has trained extensively in cosmetic dentistry and worked under the tutelage of celebrity dentists Dr Bill Dorfman, Nasser Barghi and Ross Nash to name a few. Farydon’s keen interest in different advanced dental courses ensures that he is able to offer the latest techniques at his practice in London, W1. He is a member of The British Academy of Cosmetic Dentistry and the American Academy of Cosmetic Dentistry. Farydon’s skills are so highly regarded that patients travel from overseas for their dental treatment in London.